Providing Real Value in Payment Processing for almost 20 years. Features for Your New Merchant Account. Our Proposals show complete Discounts Rates and Fees. We don't Double Stack fees on proposals like some processors. Call us for Details. Your Application Approved within 24 Hours. Great 24 hour American based Support for our Processing Solution. Never a charge for Support or Upgrade with our Assure Processing Solution. 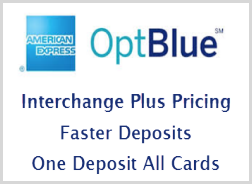 Pin Debit at Interchange Plus Pricing. Please have someone call me. Integrated Payment Processing through POS Systems has always been our main business. We work very closely with many software developers. Very Low Rates for monthly recurring processing. For almost 10 years we have received very low discount rates and fast support anytime we need it. They are always there to help me. SPI is great to work with because they really care about my business! We have never received the quality of support that SPI delivers. We get offers to change almost everyday, but would never move away from SPI. Your Support Group got our POS System processing sales Quickly. We were on the phone with our previous processor for a week without success. We are very pleased with SPI. Thanks!! © Copyright 2009 Signature Processing, Inc. All Rights Reserved.